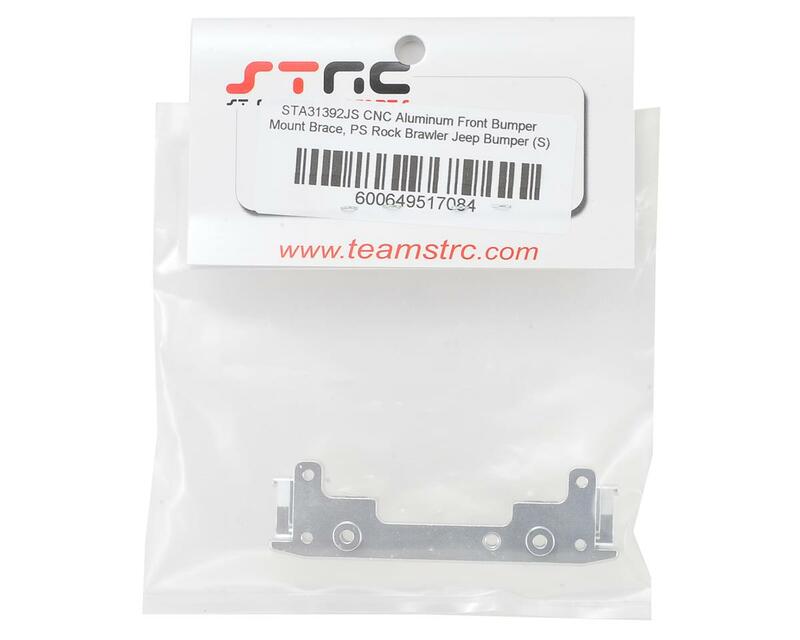 The STRC SCX10 II Aluminum Low Profile Front Bumper Mount helps to improve the front end frame rigidity and strength, while adding a little more weight to the front of your truck. Plus, the low profile design allows you to use the Poison Spyder Rock Brawler front bumper from the SCX10 Jeep Wrangler, and lets you position the bumper closer to the chassis. 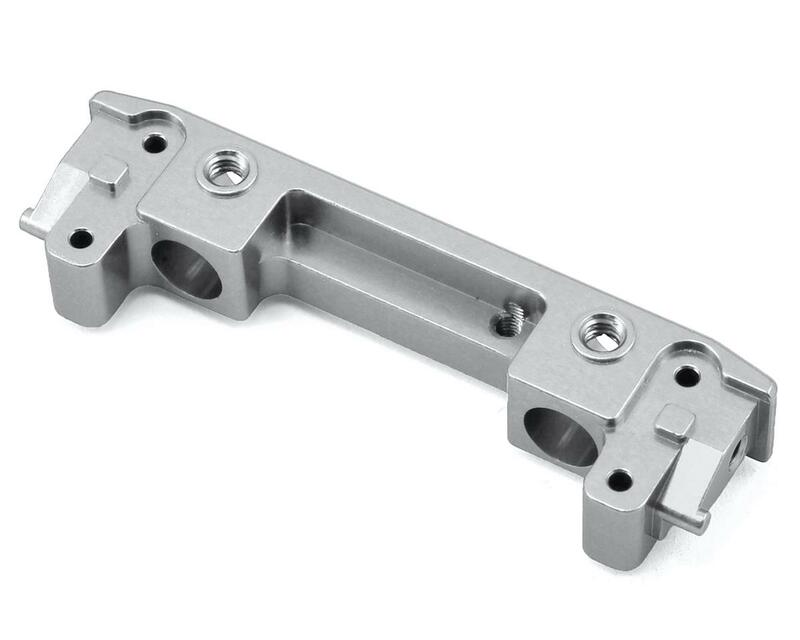 This bumper also creates a more durable mounting point for your hardware to screw into when compared to the stock plastic mount. Available in a variety of different anodized colors, this mount is a must have when you want the option to mount a variety of different bumpers on your truck, and lock them down in the position that best suits the body.